This little gem just opened in the location of an old Starbucks at the southeast corner of Marsh Lane and Frankford. El Tizoncito is a pleasant surprise. First off, I had this place pegged as more of a fast food restaurant. It isn’t. The small restaurant is clean and well-acquainted. The majority of the diners appeared to be regulars who knew each other and the staff. I was greeted and seated quickly. 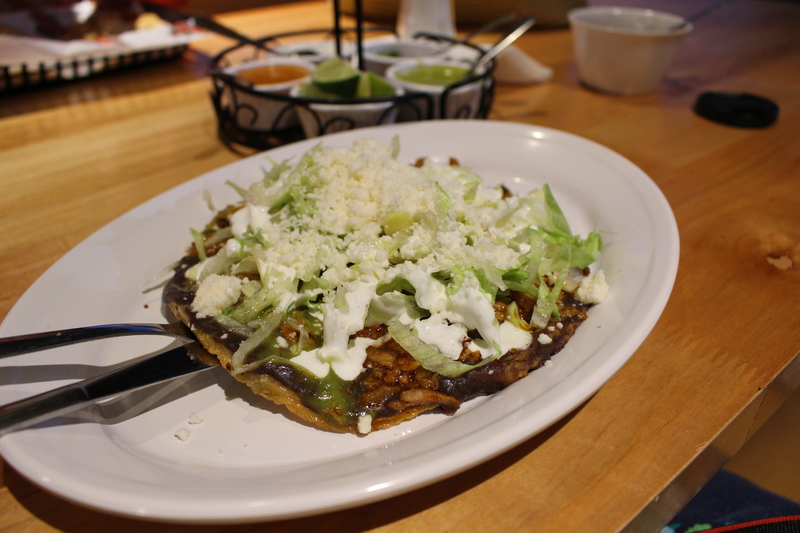 The menu is an assortment of Mexican cuisine: tacos, alambres (a kabob without the stick), sopes (soft tostadas), flautas, quesadillas, tortas and menudo on Saturday and Sunday. 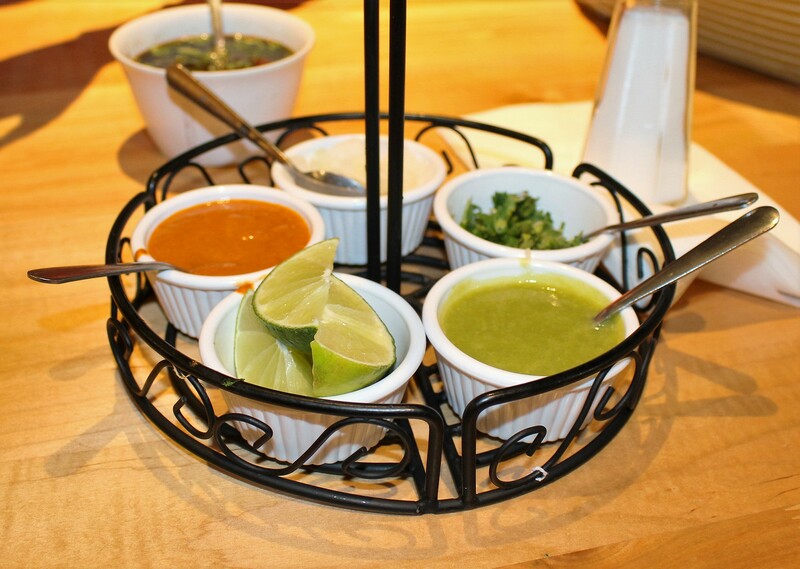 Don’t look for chips and salsa at El Tizoncito. What you will find is savory black bean soup. Lots of flavor and cilantro! They also brought this colorful condiment tray. As I have said before, I love condiments! The salsas were good. Both had a little punch: one spicy and the other a tad smoky. And what isn’t better with a little squeeze of lime, a sprinkle of cilantro and a bit onion? I ordered the sope with pastor. The sopa was served on a fried round piece of thick masa (same stuff they make tamales out of) that was soft and yummy. The pork was seasoned with adobe and you could tell it was grilled. Topped with lettuce, cotijo and crema. I am looking forward to my next trip. Maybe a jamon and queso torta? I can wash it down with an agua fresca!